Each agent in Nerd Realty has an iPad and can do an entire transaction on it. Our customers like that they never have to print a single sheet of paper throughout the process! Oh, and we have over a 100 cool apps! Nerd Realty loves photography! Every picture you see in this website was taken by us. Nobody likes seeing picture after picture of your thumb. We like to make our pictures stand out! One thing our buyers really love is that we take a video of every unit you see and then send them a youtube link by email. It helps our customers remember what they saw and they can share it with mom and dad! In typical nerd fashion we created a 400 variable database that studies trend in Blue Condo and the Greater Downtown Miami area. We can talk nerdy to you! Nerd Realty is all about being remarkable! We are the outliers that create change (the good kind of change). Nerd Realty loves creativity and innovation. We focused on three aspects of this industry that needed a company to shake things up a little. These three aspects are marketing, service quality, and knowledge. Marketing: Nerd Realty never really thought that the realtors sending you taco recipes, companies spamming your inbox, the people shoving flyers in your face while walking on Ocean Drive, and the sales people hovering over you at department stores were actually considered marketing. Somehow marketing translated into annoy as many people as possible and put your name on it. At Nerd Realty we have a different philosophy. We have an anti-spamming policy and focus on making things people will want to see. If we make it amazing then we won’t have to shove it down your throat! This website is an example of our marketing approach. We challenge you to find a better Blue Condo website! Couldn’t find one; that’s what we thought! Service Quality: Nerd Realty took a step back and put ourselves in the customer’s shoes. We started to analyze all of the tension points, fears, decision making process, doubts, and headaches in each step of a transaction. We continually asked ourselves how can we solve these problem areas and make the process more awesome. It all boiled down to one word, transparency! Nerd Realty is all about giving the client more control and ability to see the entire transaction right from the first phone call. Oh, and we use a lot of cool technology to achieve our service quality goals! Knowledge: Nerd Realty built an impressive analytical database to study over 400 variables of the entire Greater Downtown Miami area. Yea, we know this is pretty nerdy! Trust us it gets pretty boring if we were to explain everything here, but if you want to hear it give us a call. We feel pretty confident that no one knows more about our area than we do! 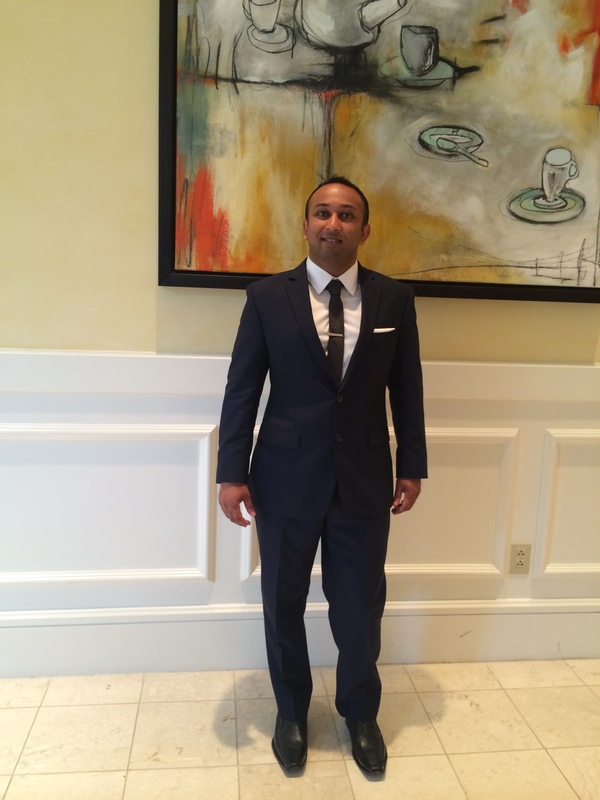 Neal Chinai is the Chief Executive Nerd (the guy in charge) of Nerd Realty. Growing up, Neal was always the awkward kid who loved to watch HGTV. When the opportunity came to start a real estate career, it just seemed like a natural fit! Neal really loves real estate! In 2013, Neal realized that the real estate industry needed some innovation in marketing and customer experience so he started Nerd Realty. Neal graduated from Penn State University (We Are… Fellow PSU grads can finish that line) with three undergraduate degrees and one minor all in 4 years. His degrees are in Finance, Economics, Hotel Restaurant and Institutional management and his minor is in International Business. Neal was also part of the prestigious Schreyer’s Honors program (top 500 students in the entire university). Prior to real estate, Neal was a currency and stock (equities) trader. Neal is a HUGE Miami Heat fan (GO HEAT!) and enjoys going to the games when he can.